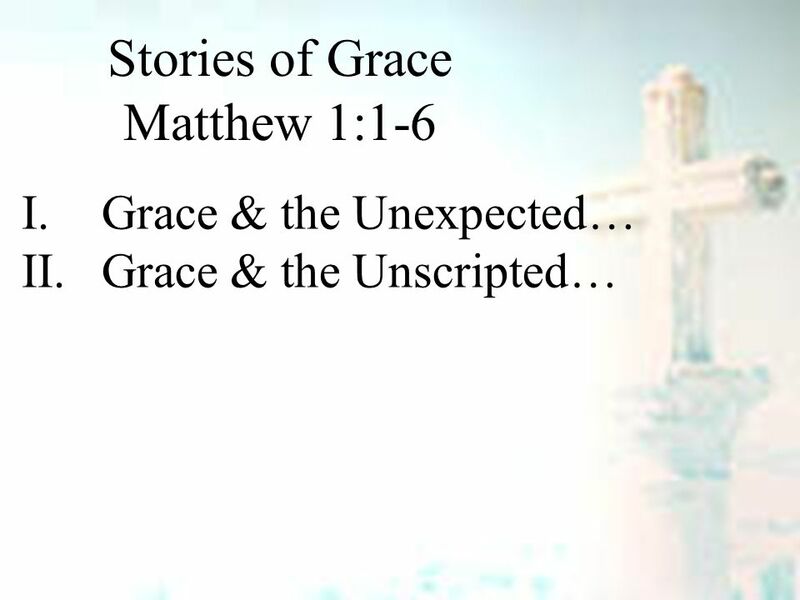 Stories of Grace ~ Matthew 1:16. 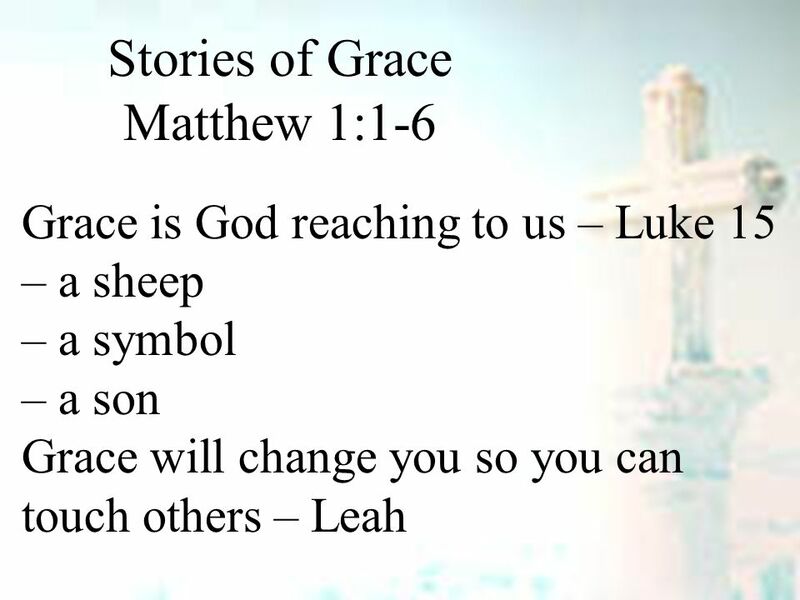 Stories of Grace Matthew 1:1-6 Grace is God reaching to us – Luke 15 – a sheep – a symbol – a son Grace will change you. 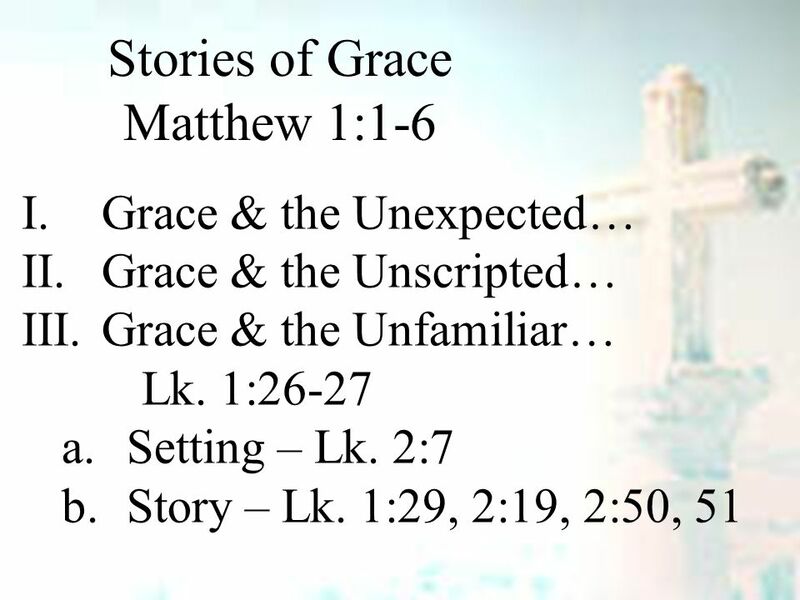 4 Stories of Grace Matthew 1:1-6 I.Grace & the Unexpected…. 18 Ps. 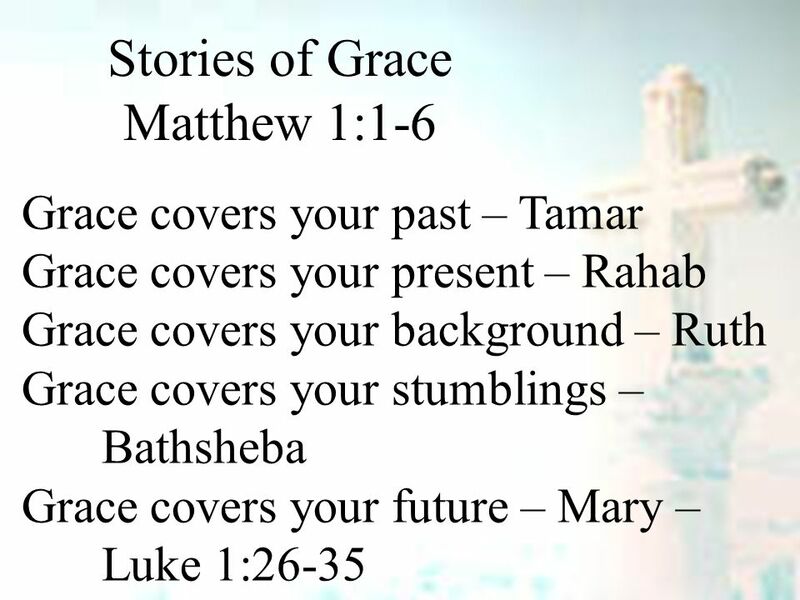 139:13-16 – For you formed my inward parts; you knitted me together in my mothers womb. I praise you, for I am fearfully & wonderfully made. Wonderful are your works; my soul knows it very well. My frame was not hidden from you, when I was being made in secret, intricately woven in the depths of the earth. Your eyes saw my unformed substance; in your book were written, every one of them, the days that were formed for me, when as yet there was none of them. 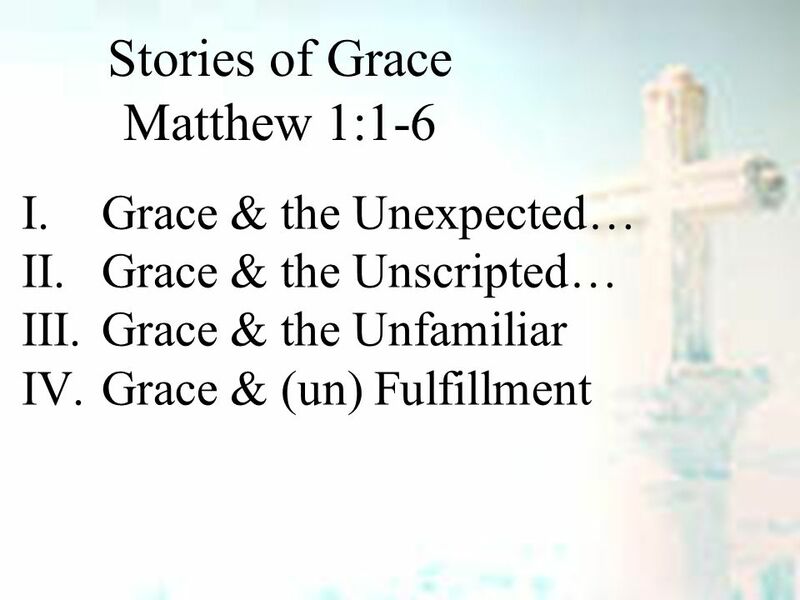 Download ppt "Stories of Grace ~ Matthew 1:16. 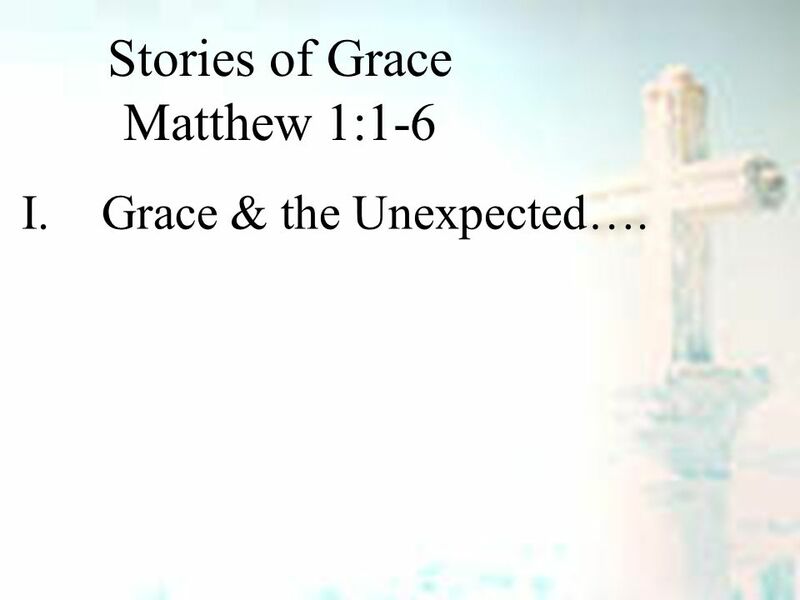 Stories of Grace Matthew 1:1-6 Grace is God reaching to us – Luke 15 – a sheep – a symbol – a son Grace will change you." Peace on Earth Luke 2:14. 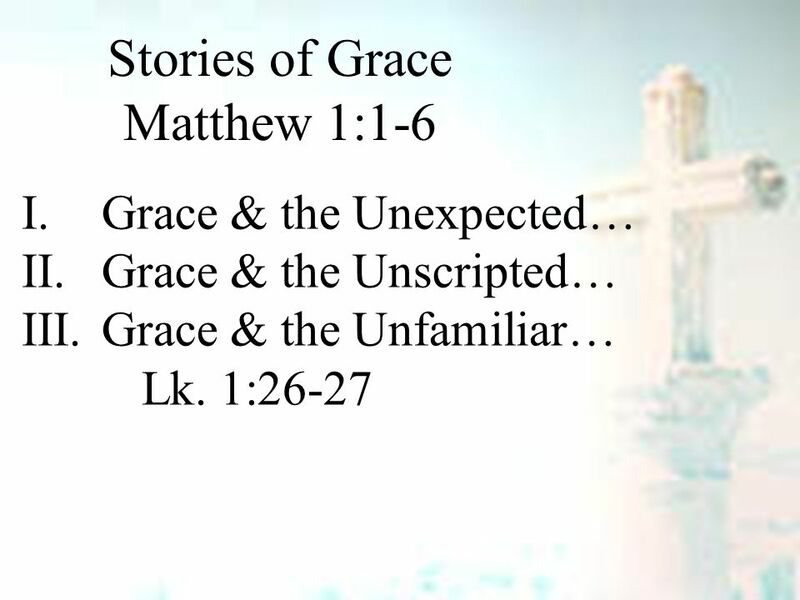 Mary’s View of God Luke 1: Now in the sixth month the angel Gabriel was sent by God to a city of Galilee named Nazareth, 27 to a virgin betrothed. My Saviour The LORD is with you. Nothing is impossible with God. Let it be. Galatians Teaches Foolishness (pt. 2) Galatians 3:1-5. O Come Immanuel Earnest prayer The world is broken The world needs Jesus. 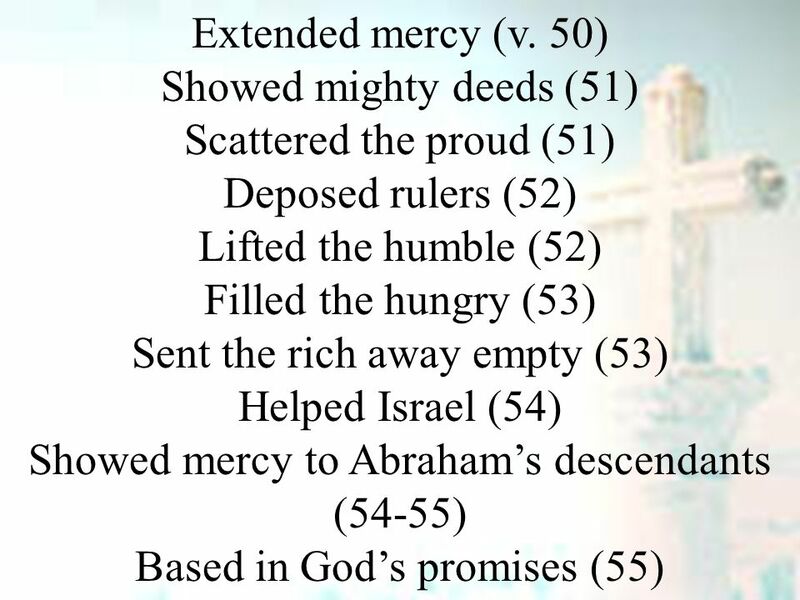 PINNACLE Luke 1:46-56 THE PRAISE. The Pinnacle of Praise I. Praise Is A Spiritual Experience- v46 I. 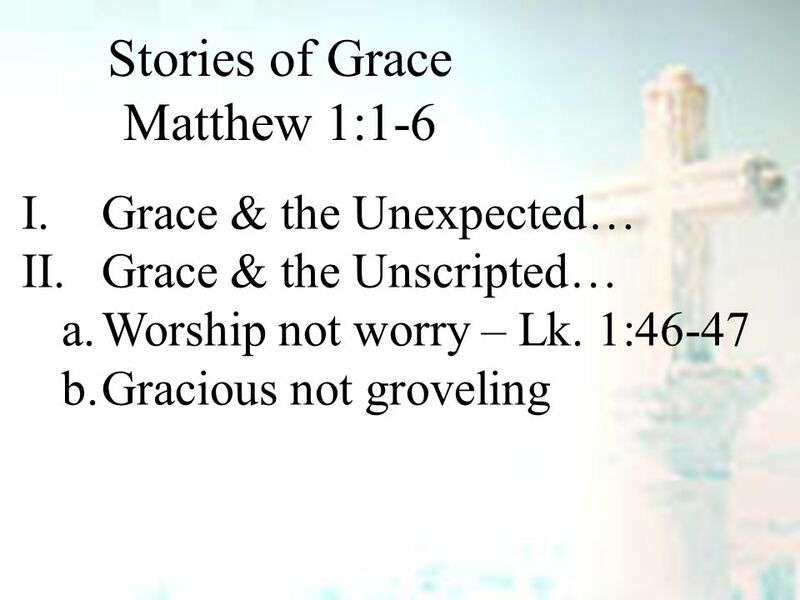 Praise Is A Spiritual Experience- v46. 1 Cor. 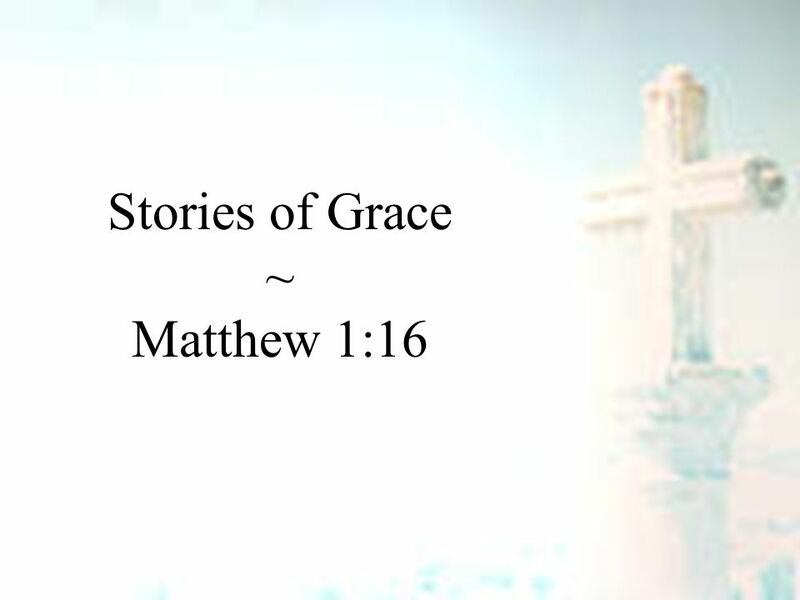 6:20 (ESV) - for you were bought with a price. 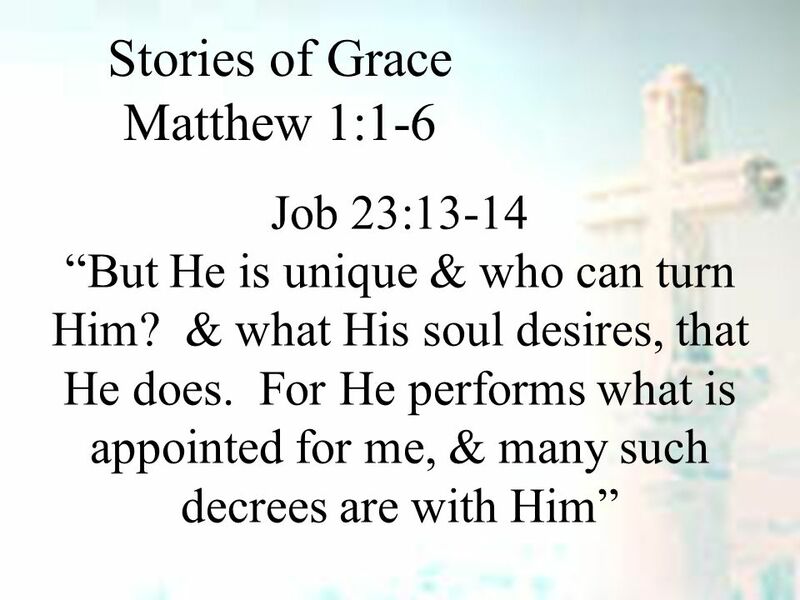 So glorify God in your body. 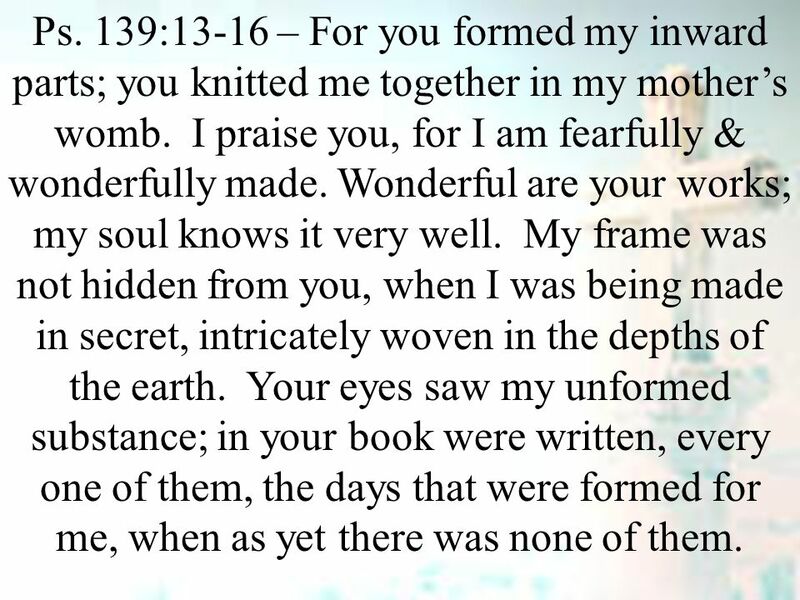 Psalm 139:13-14 (ESV) - For you formed my inward parts; you knitted. 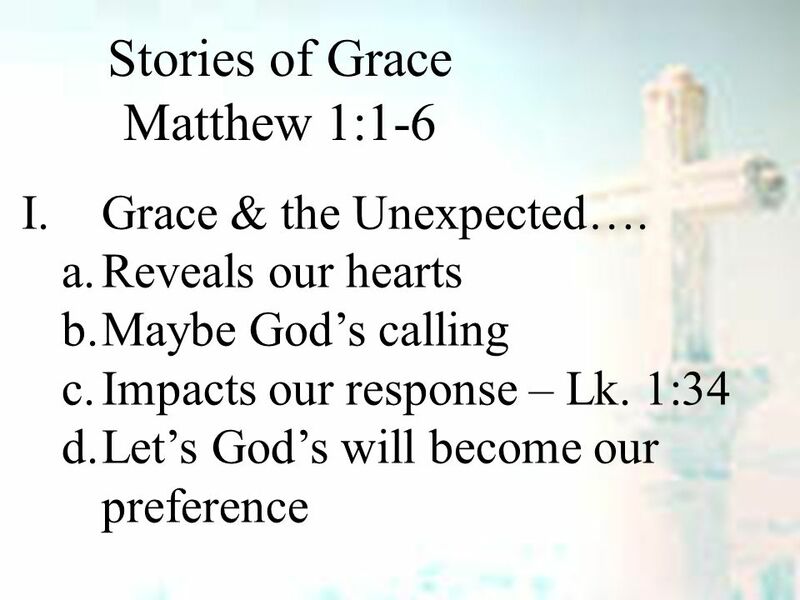 “God Loved Us Before We Were Born” Job 10:10 – 12.